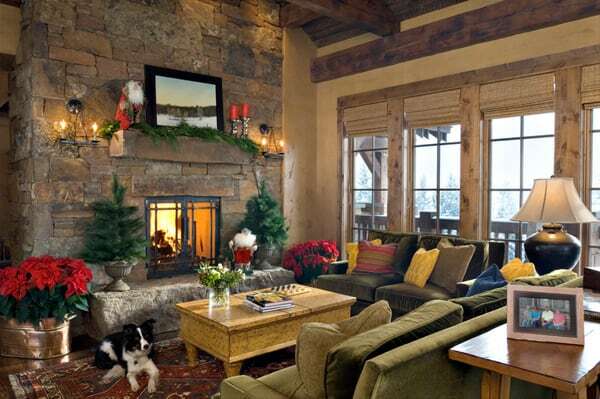 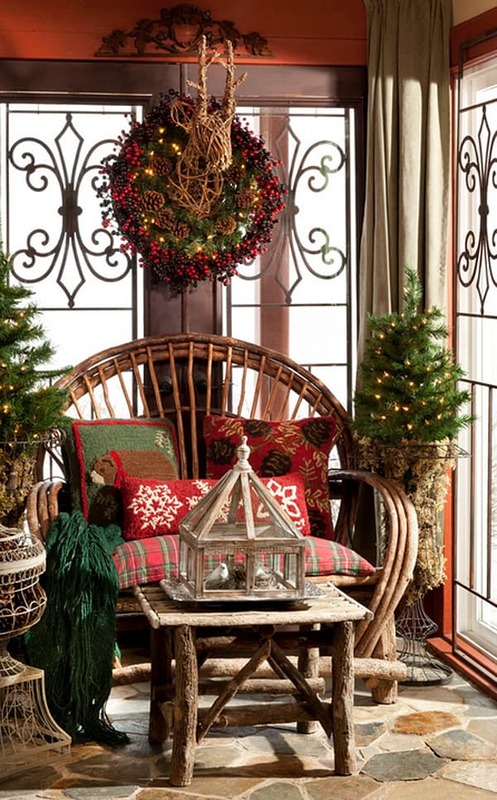 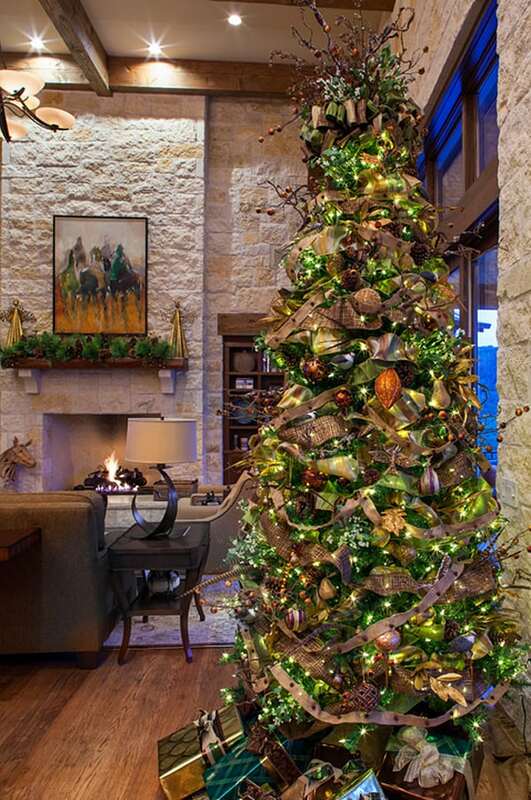 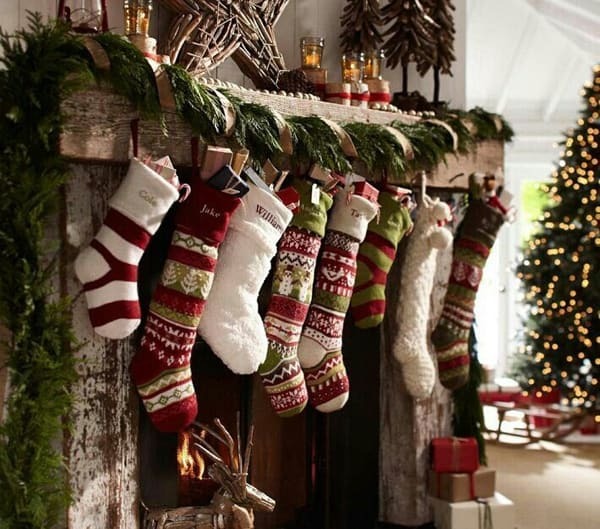 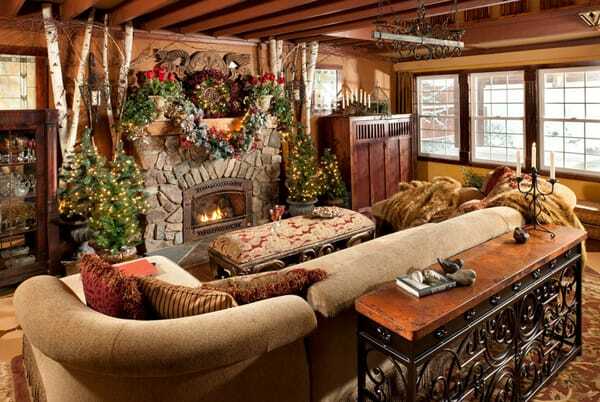 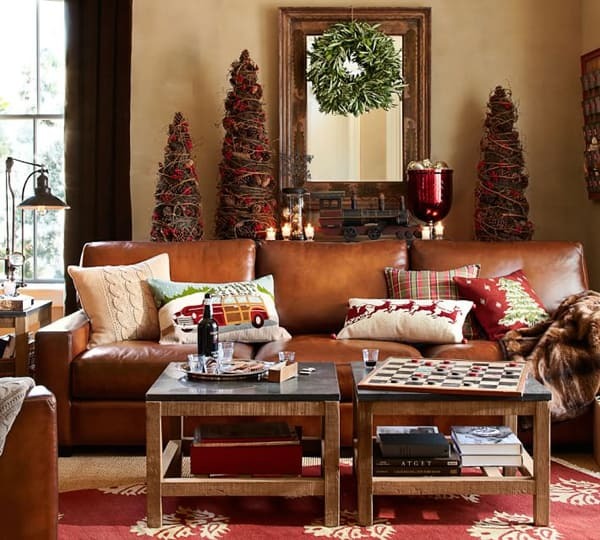 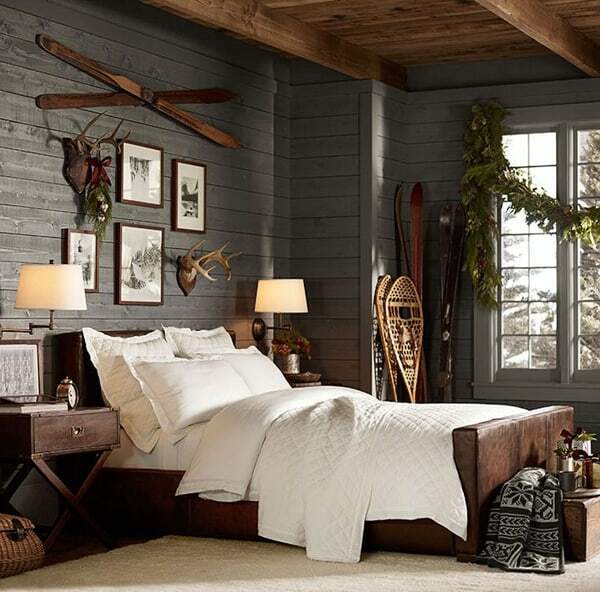 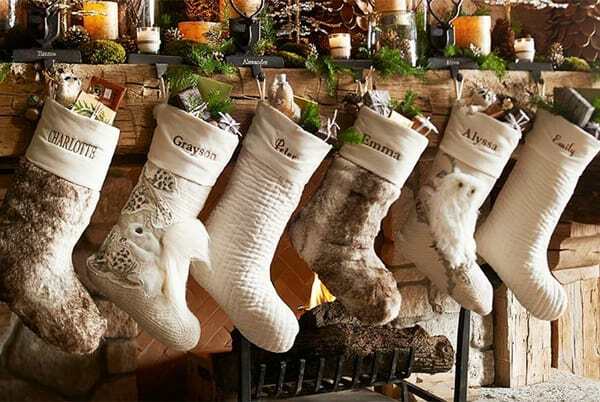 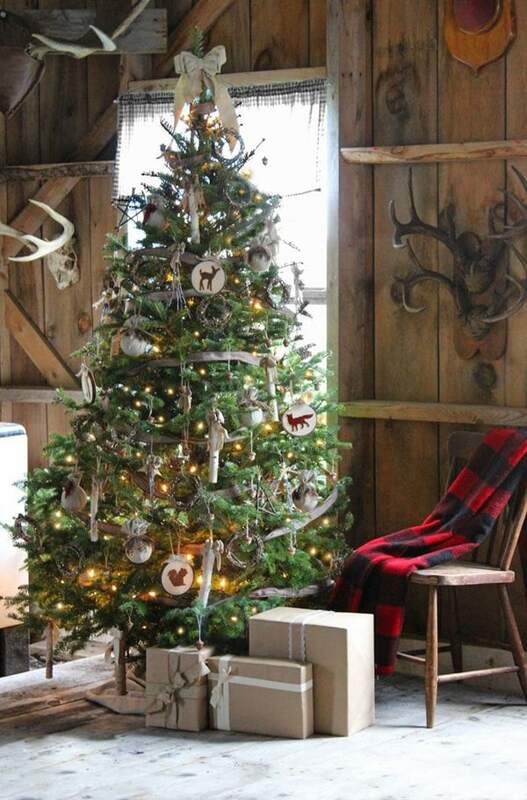 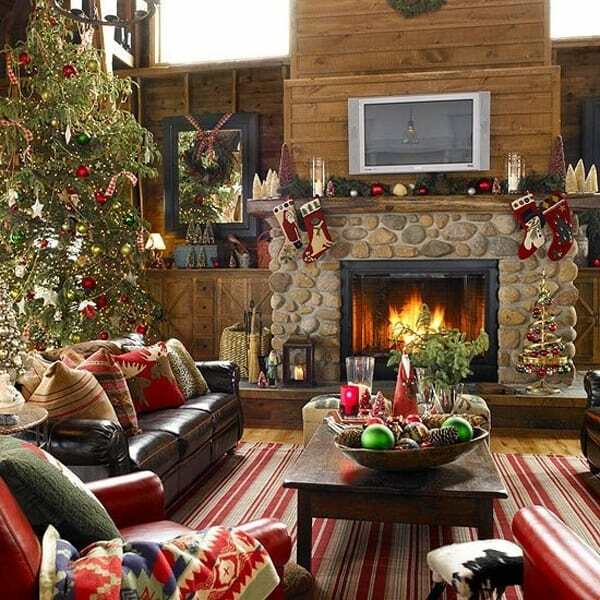 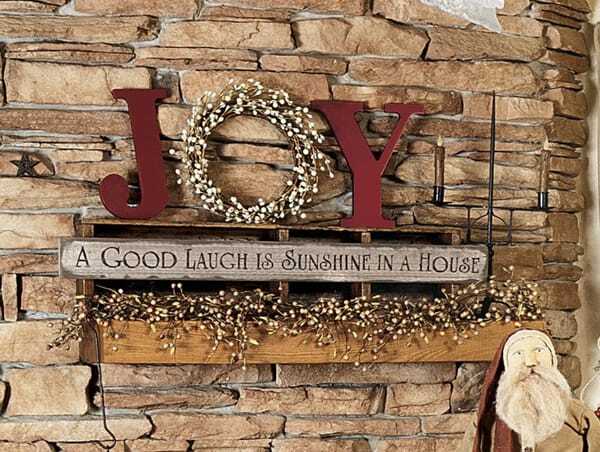 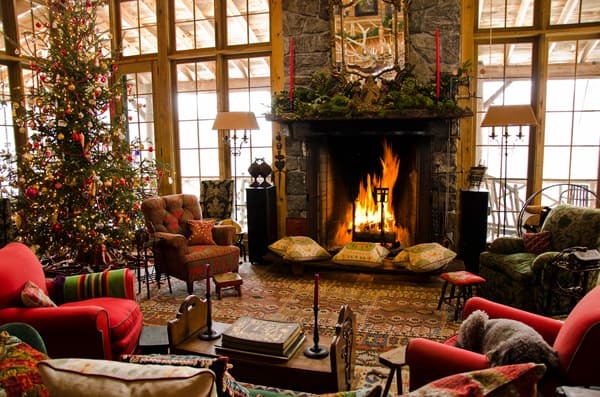 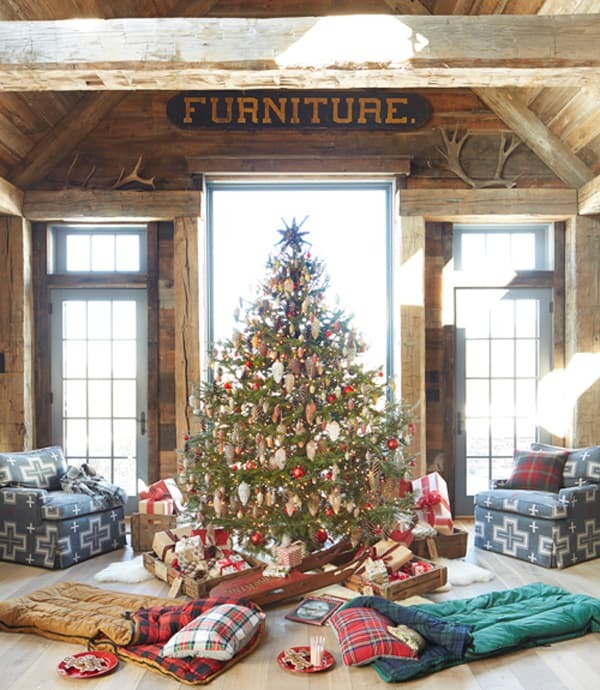 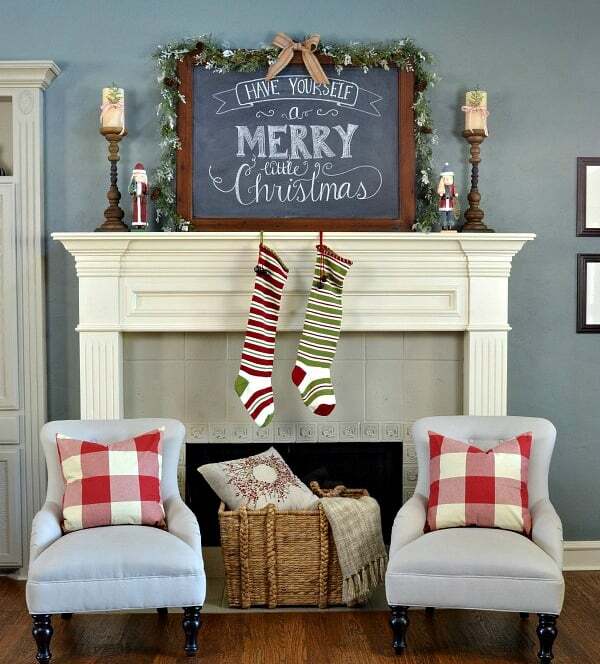 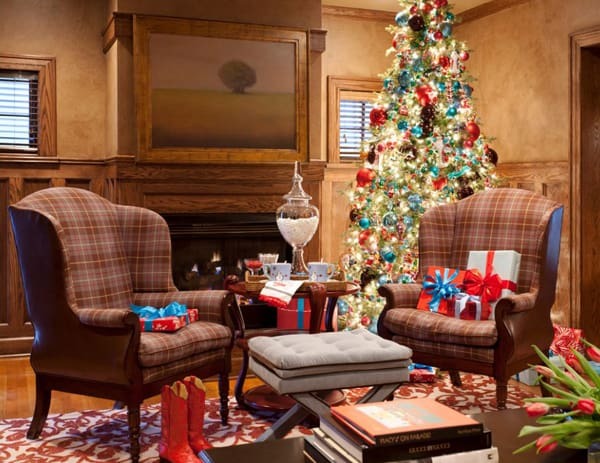 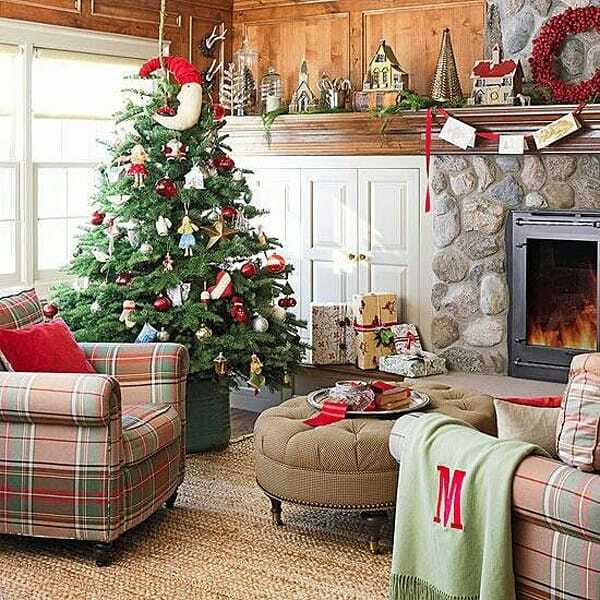 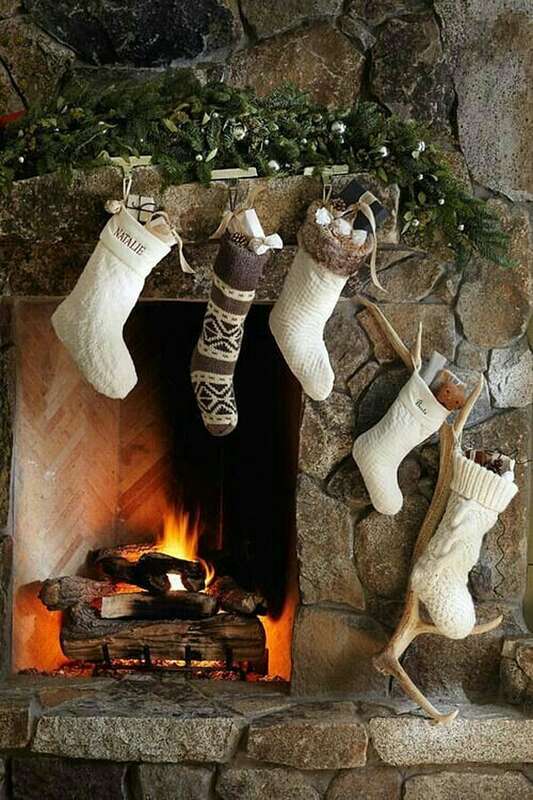 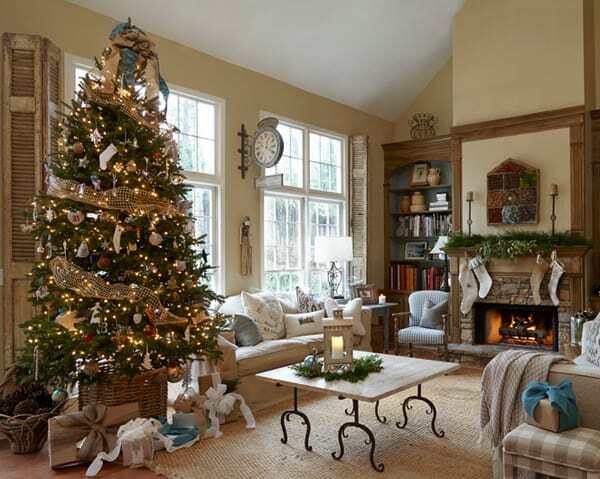 Whether you have a beautiful cozy cabin or an urban home, decorating with a rustic Christmas style can create a warm and inviting holiday retreat, both welcoming and relaxing after a cold winter’s day. 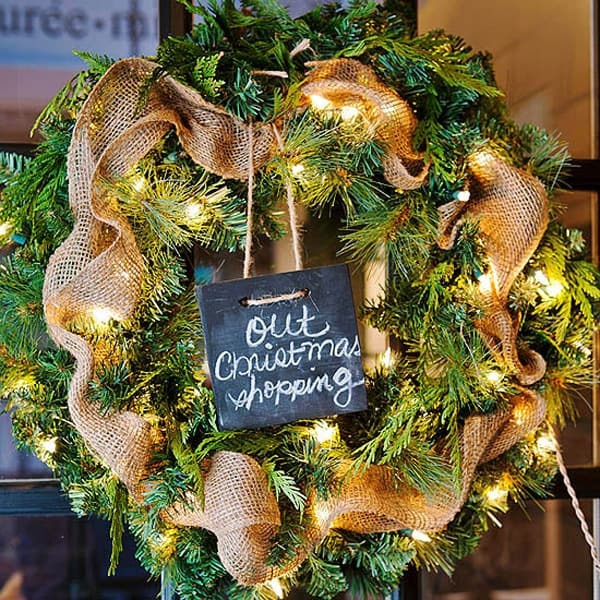 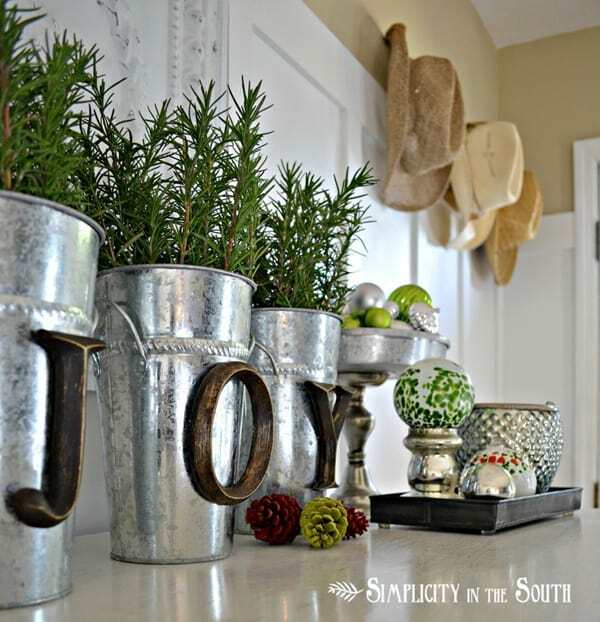 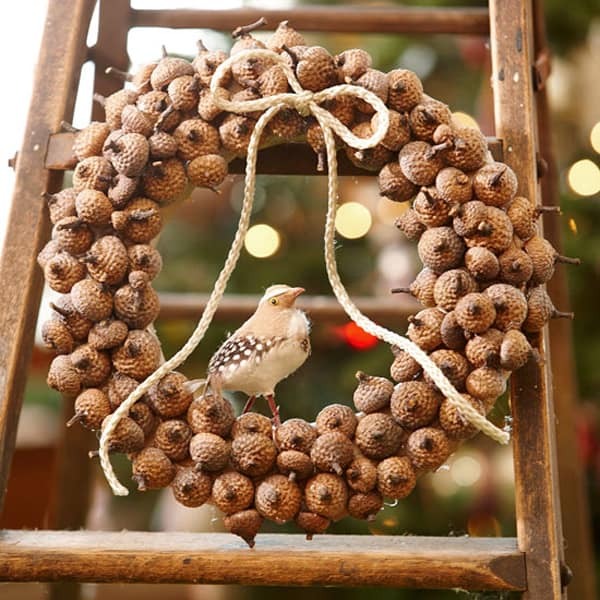 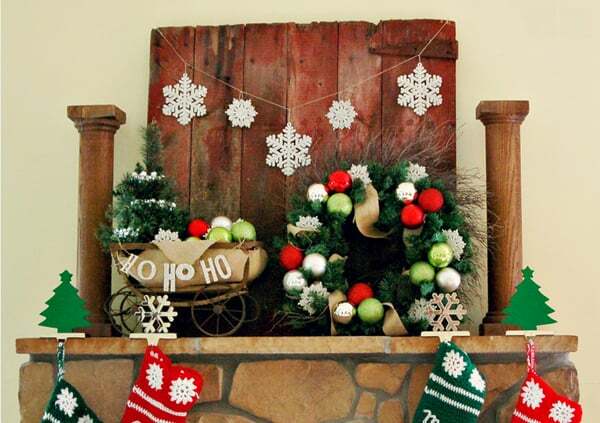 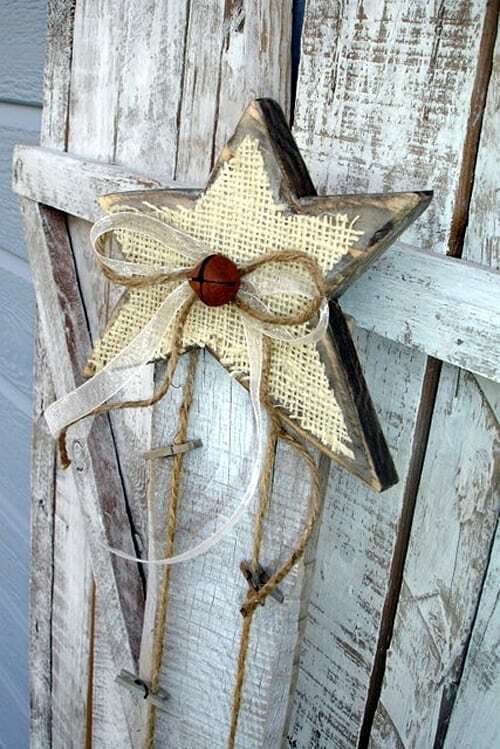 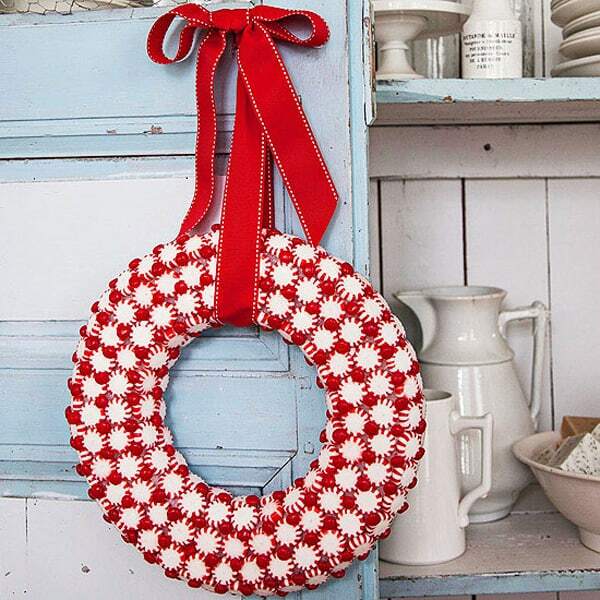 We have gathered together a collection of rustic Christmas decorations for you to use as inspiration and ideas in your holiday decorating scheme. 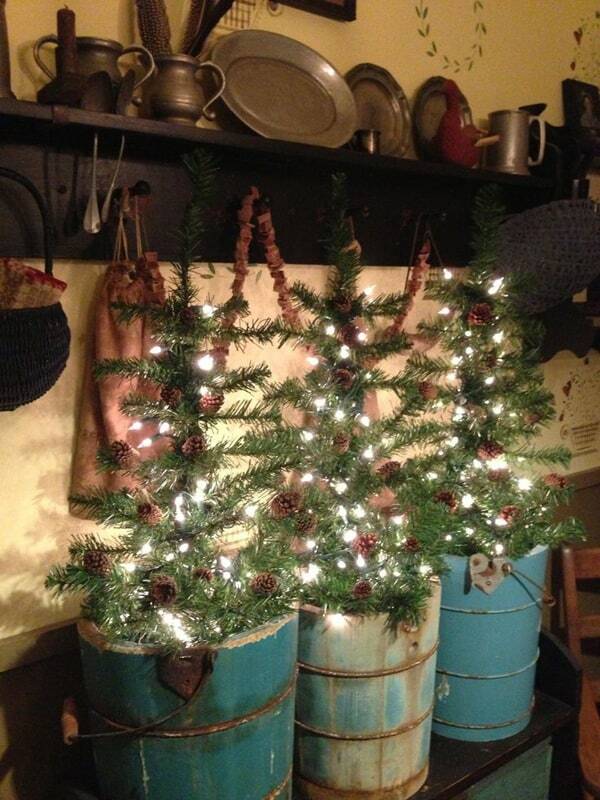 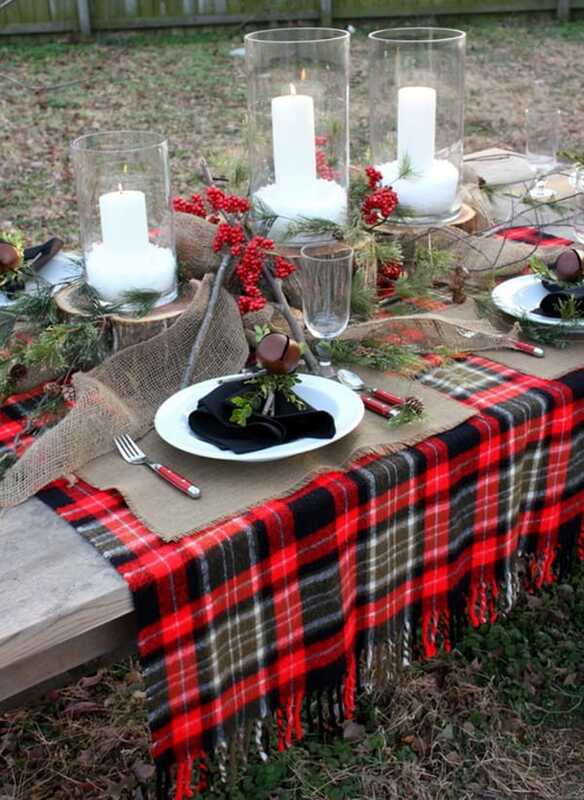 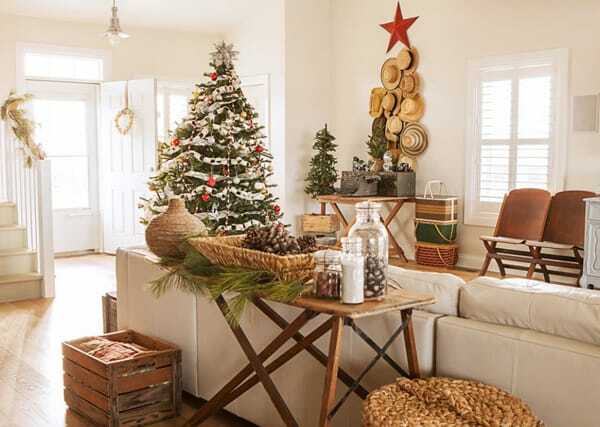 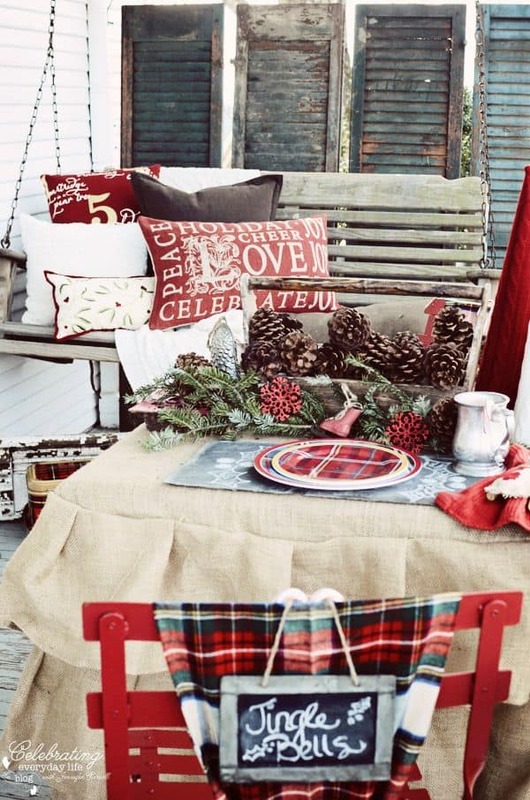 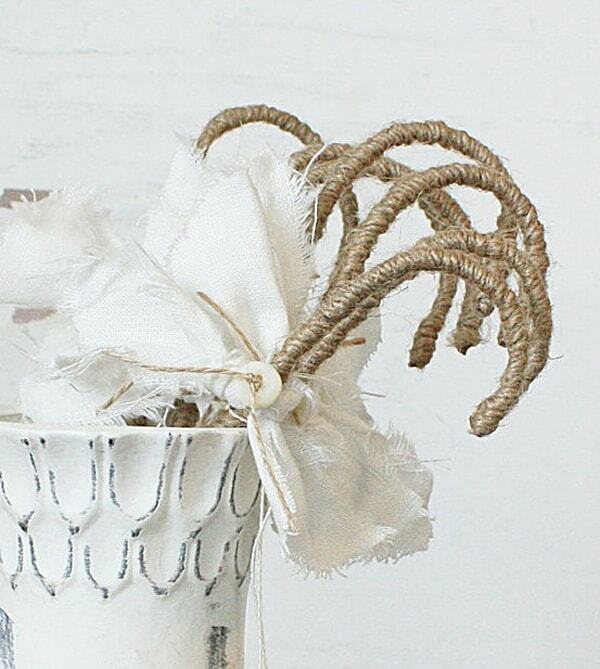 Incorporating a rustic feel into your decor involves using a lot of pine cones, wood, bark and burlap. 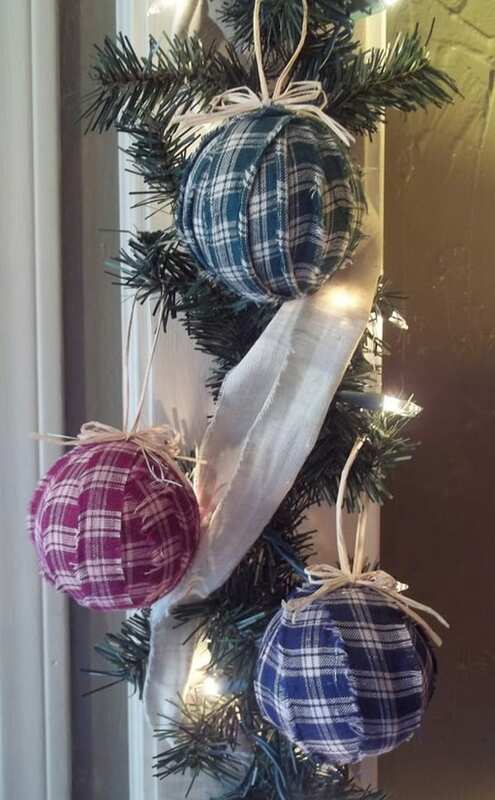 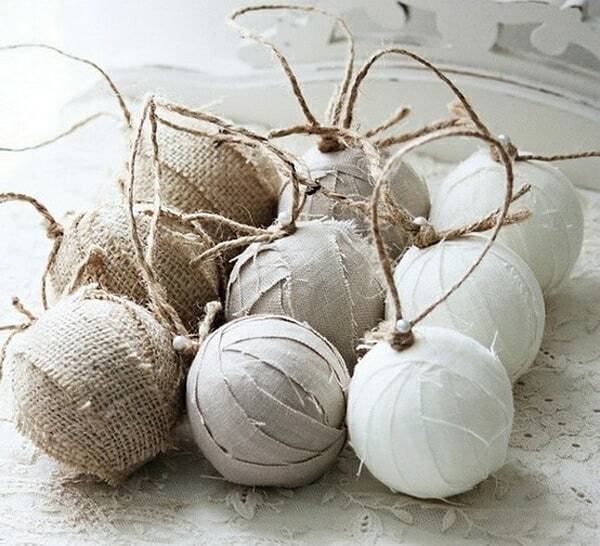 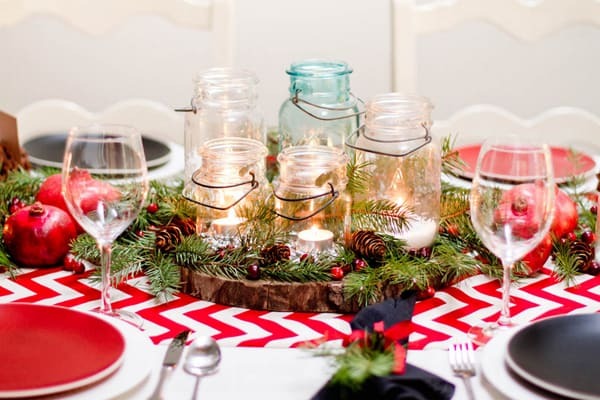 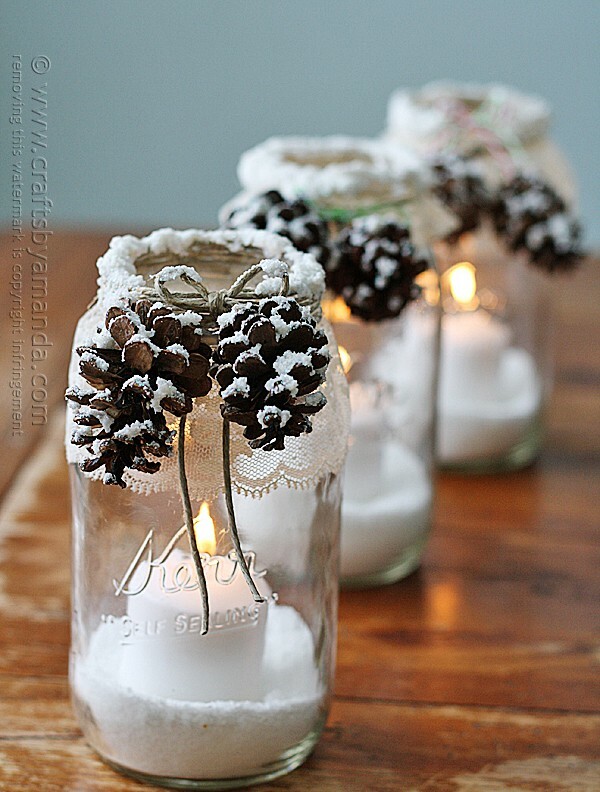 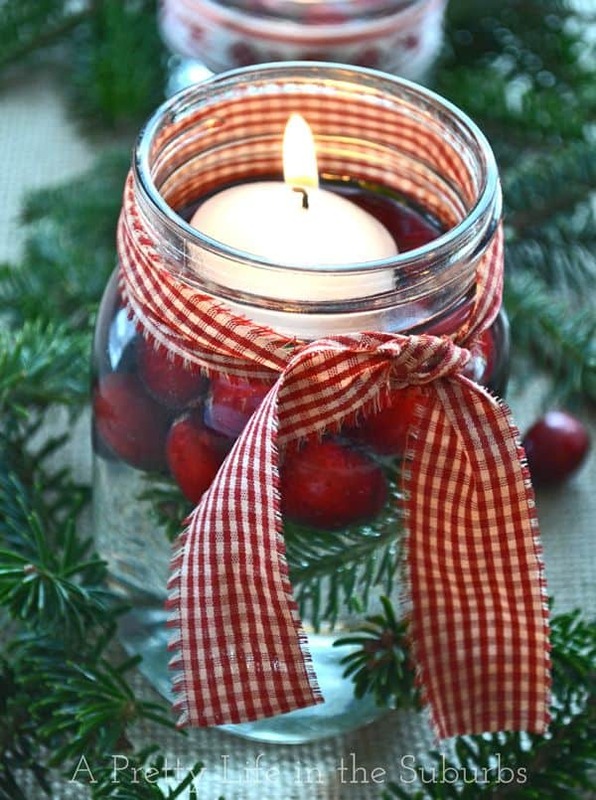 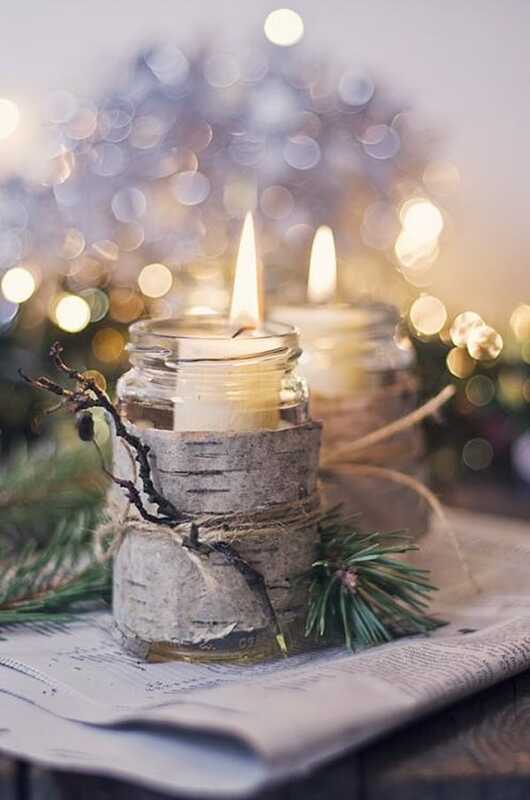 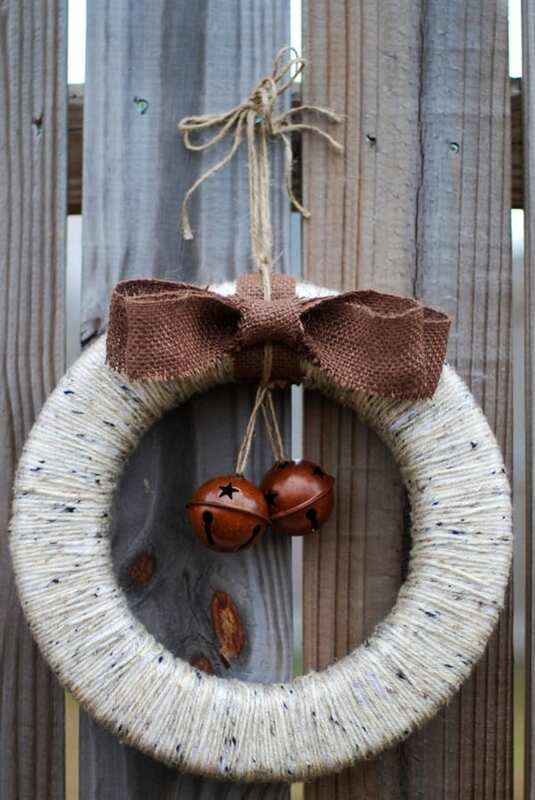 You can create a lot of DIY holiday decor with rustic, such as burlap ball ornaments, mason jars filled with candles and other holiday embellishments, garlands of wood slices, bark ornaments, they are simple to make and look stunning. 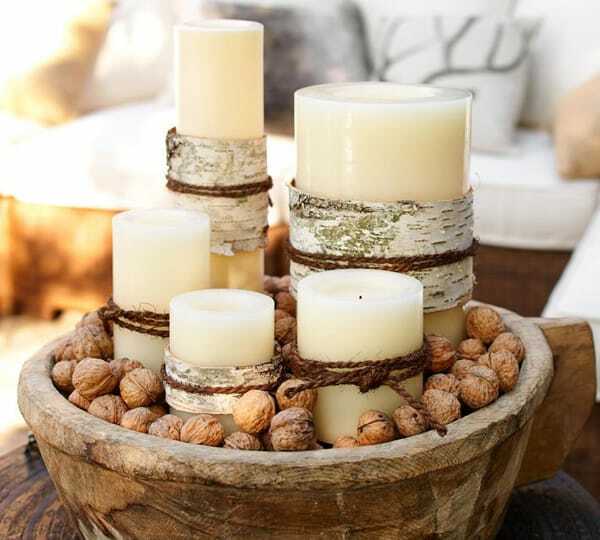 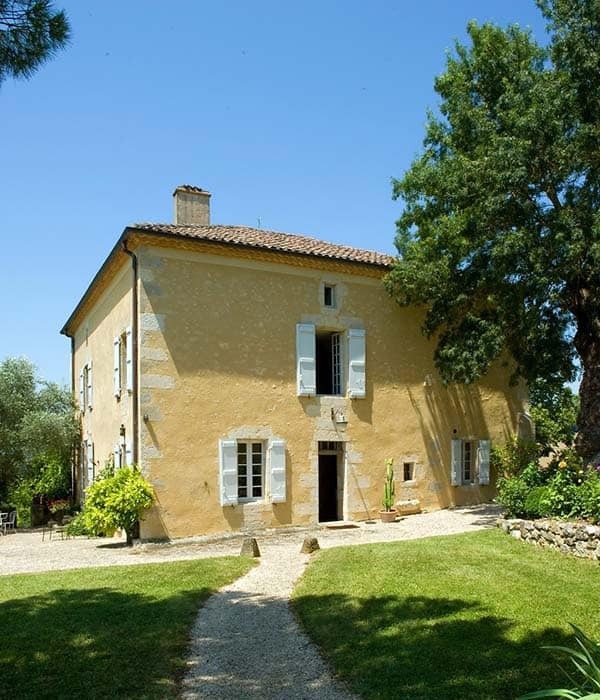 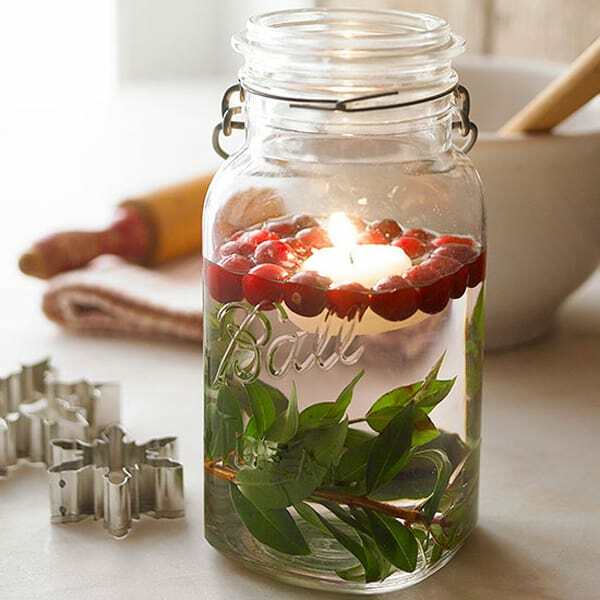 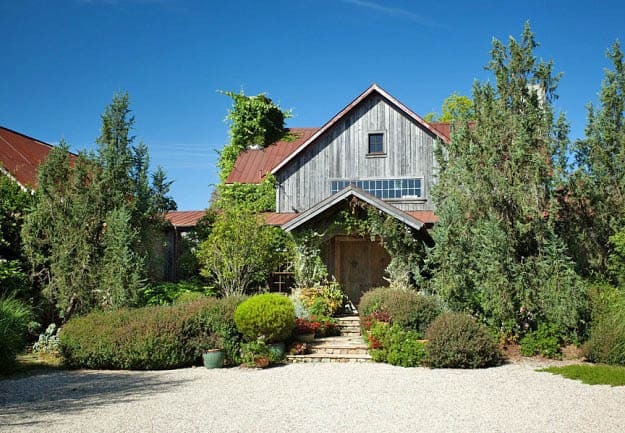 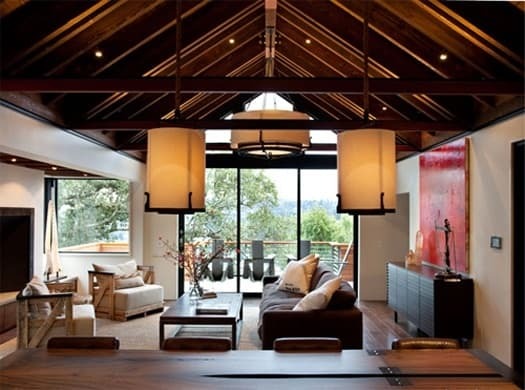 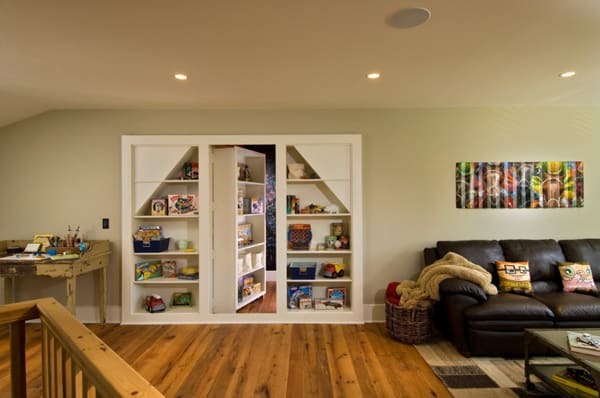 Rustic accents can easily be incorporated into your design scheme by infusing your home with natural accents. 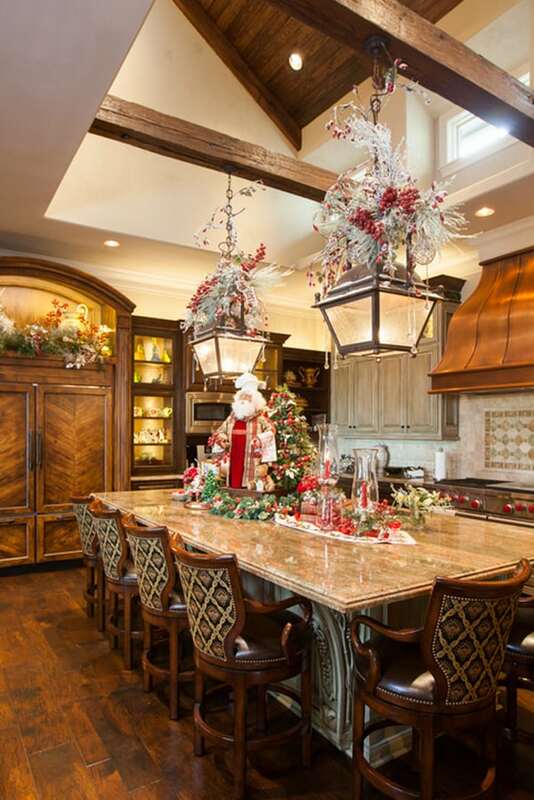 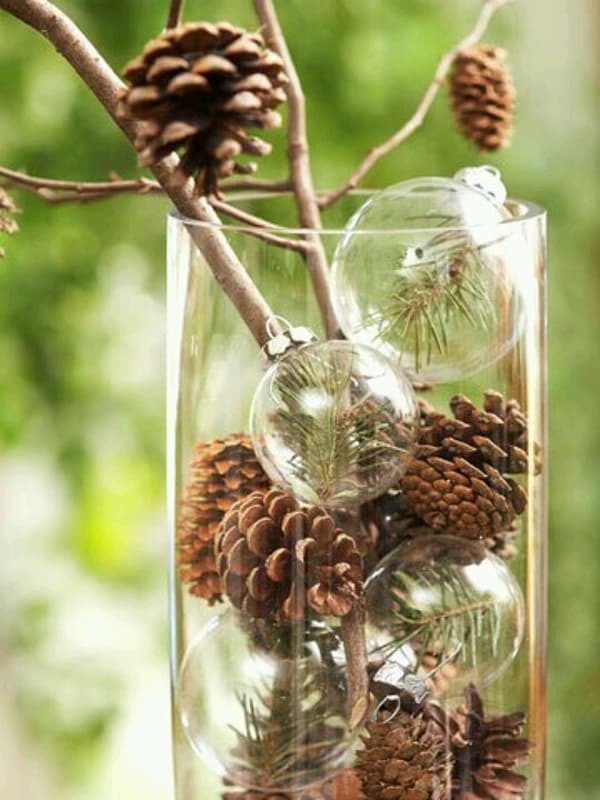 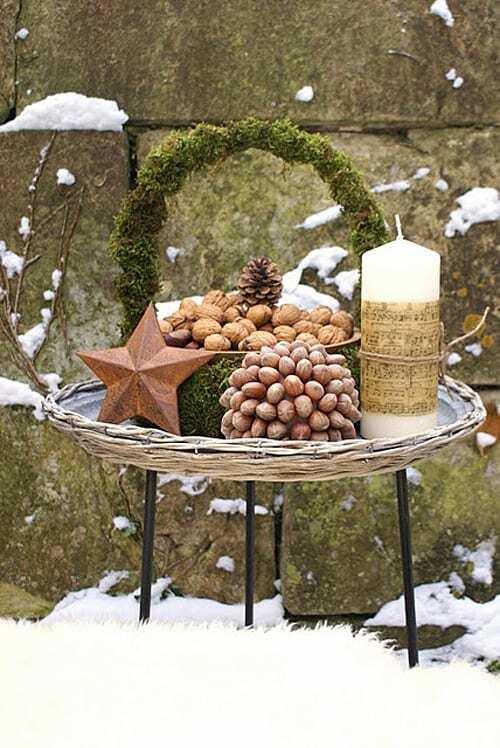 These include filling a glass vase or bowl mixed with seasonal fruits and holiday greens, mixed nuts, pine cones and brightly colored Christmas ornaments. 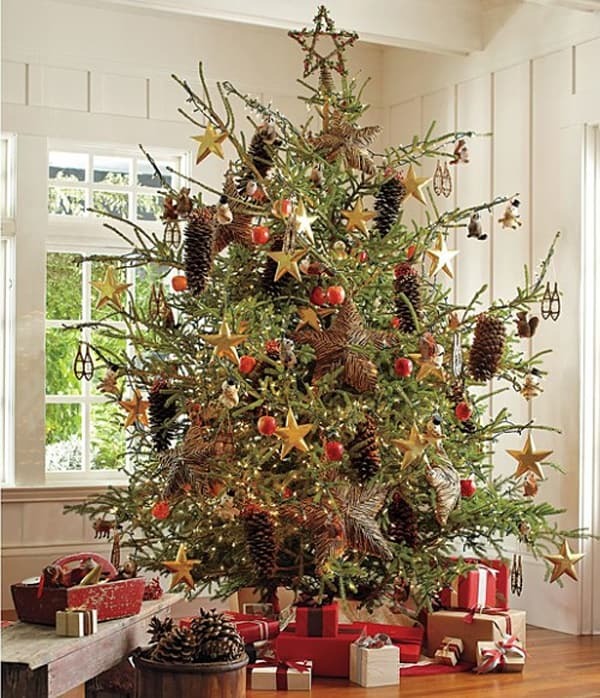 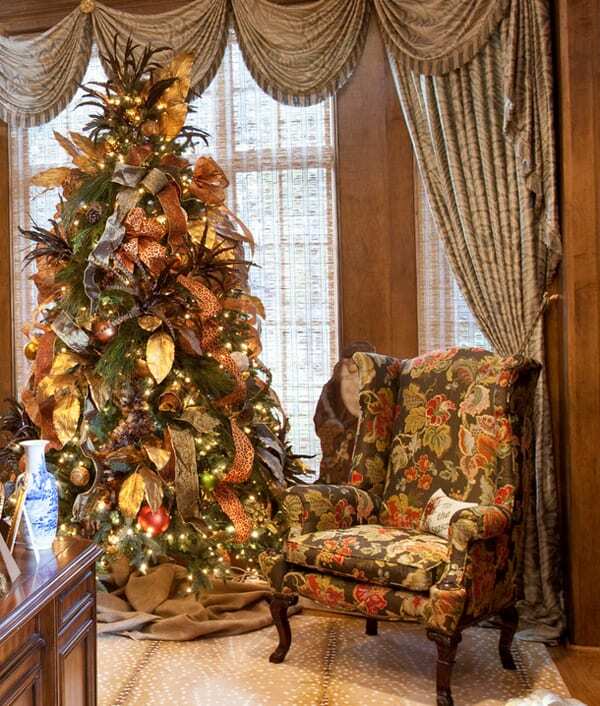 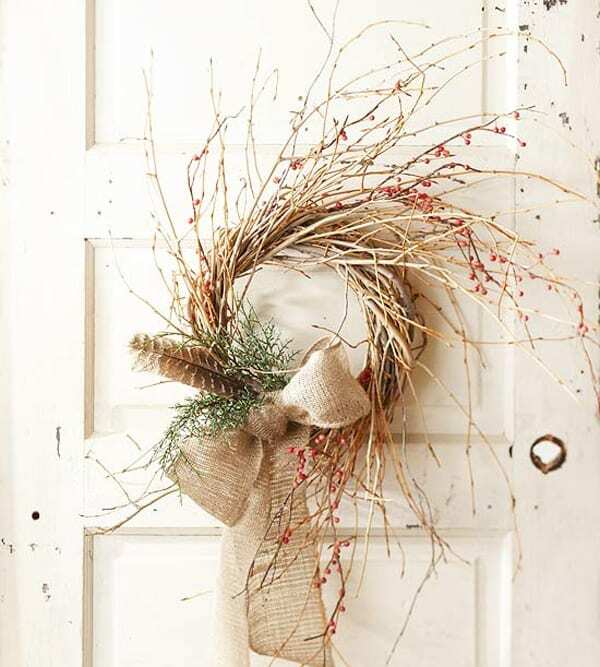 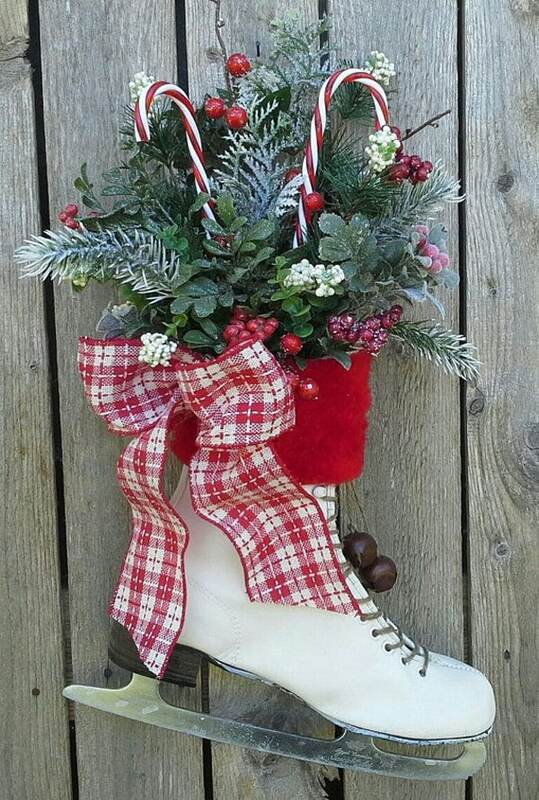 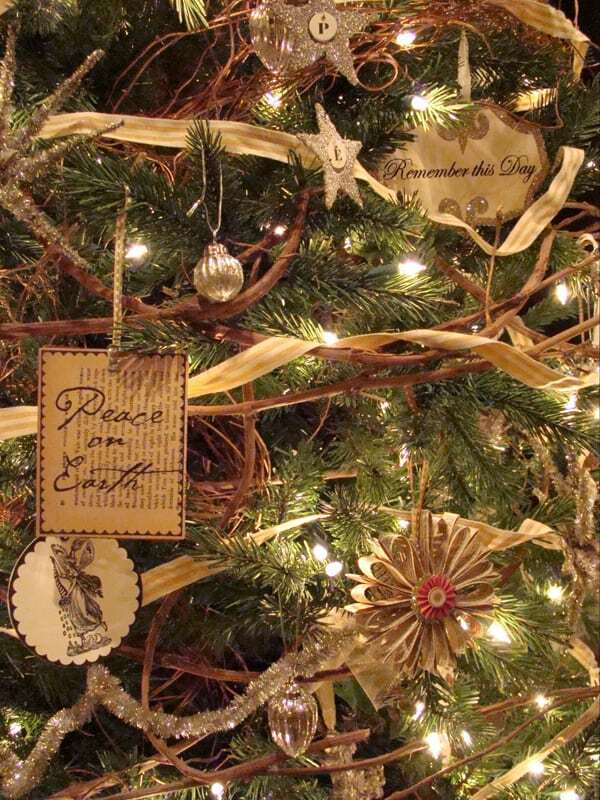 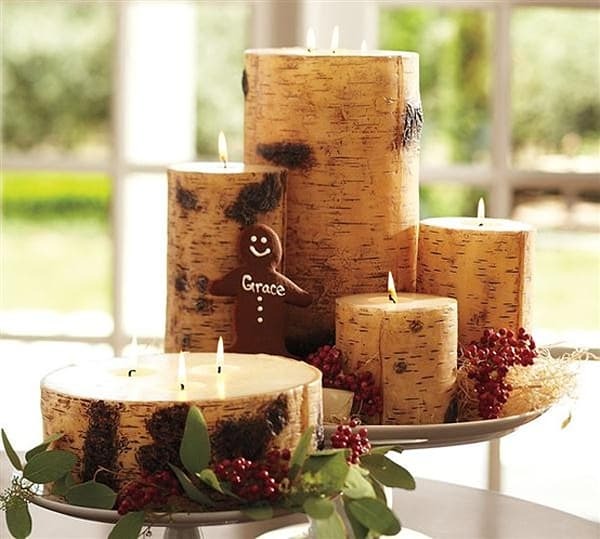 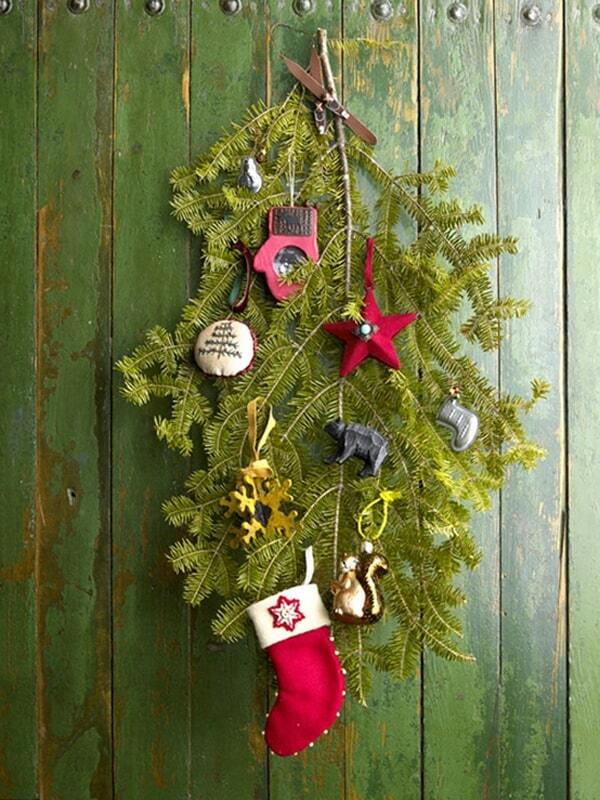 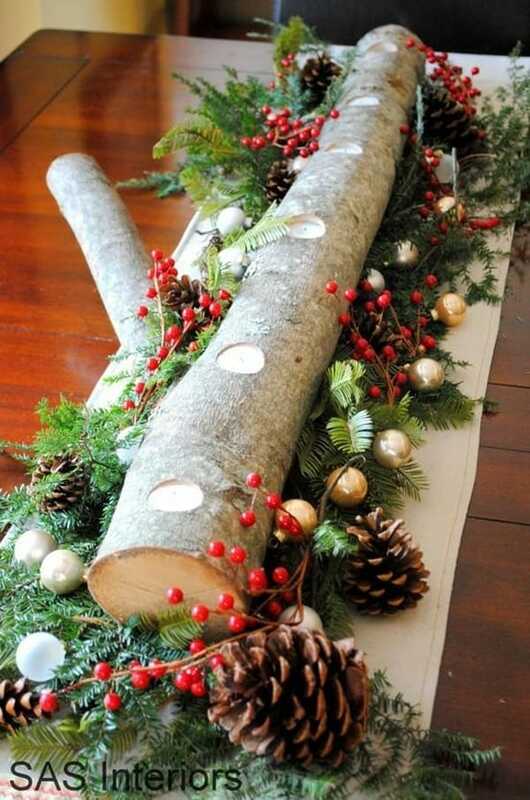 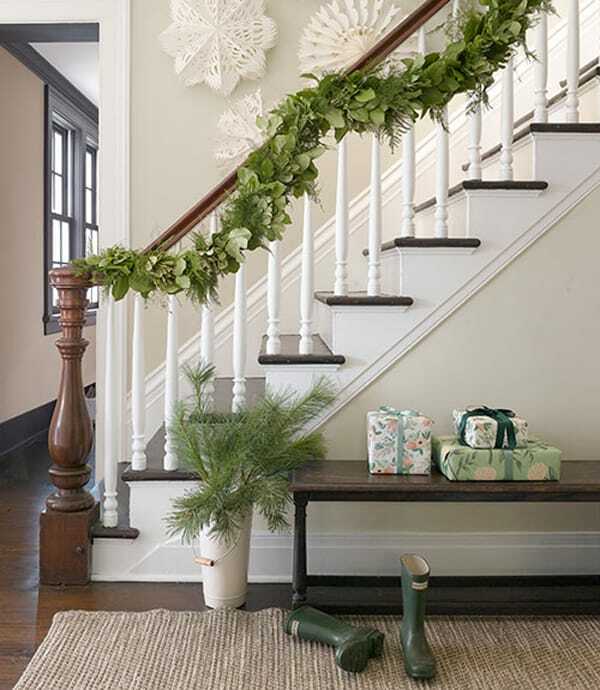 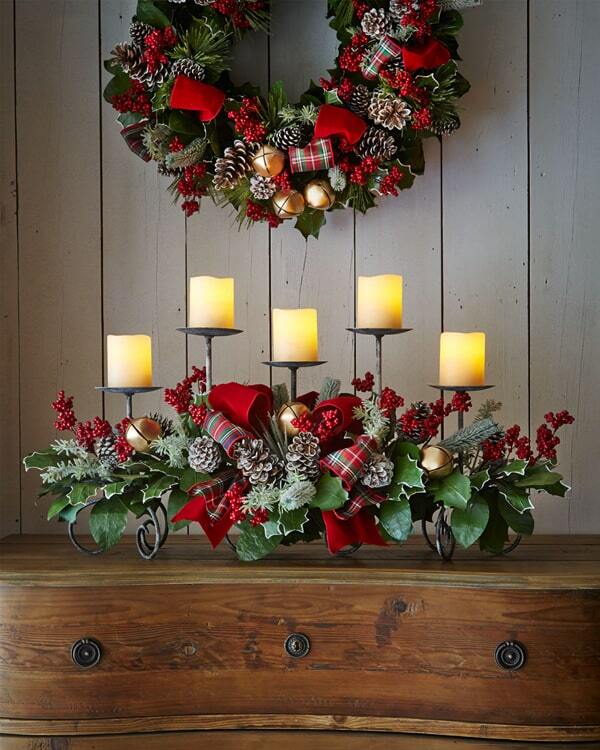 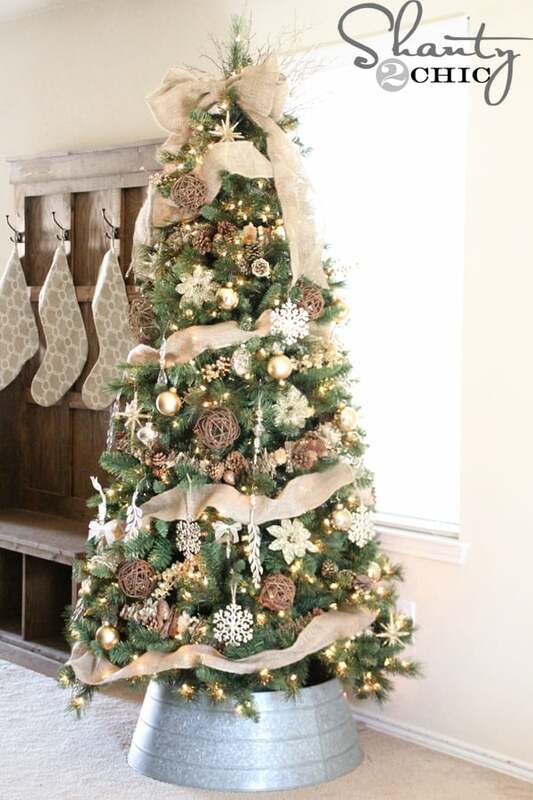 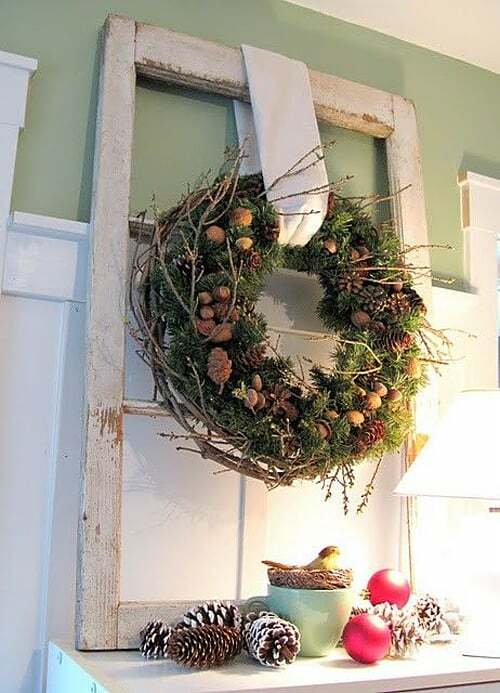 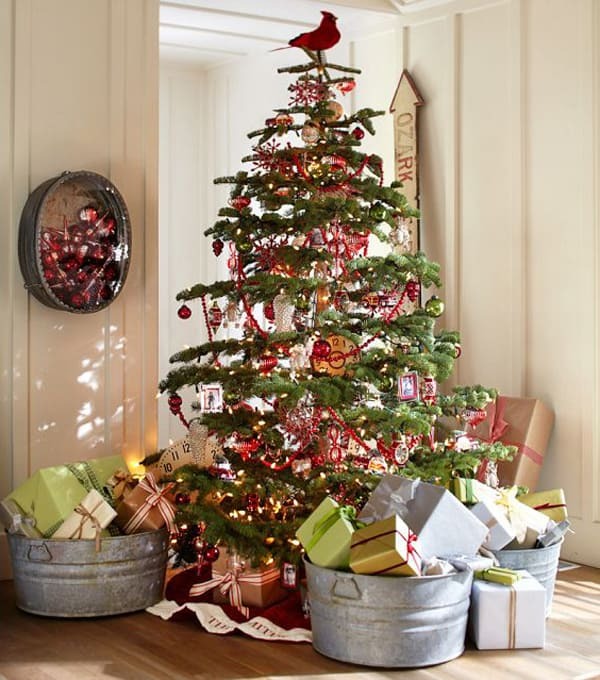 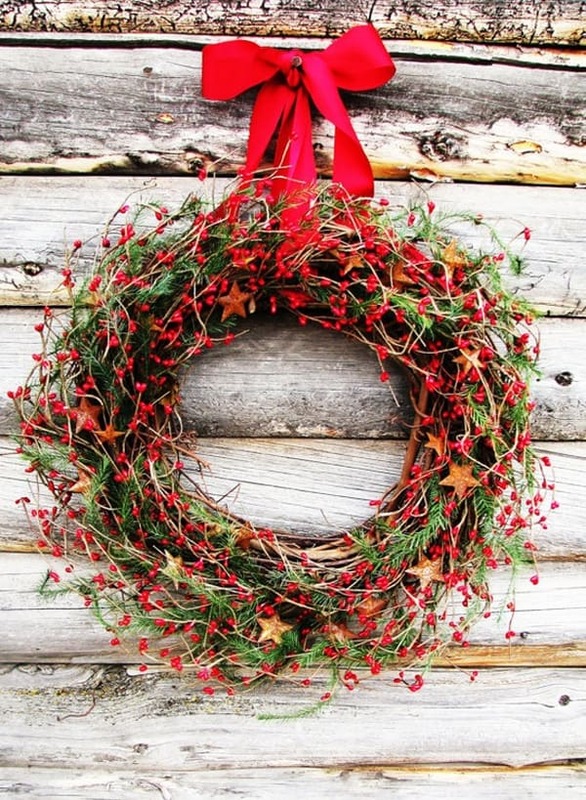 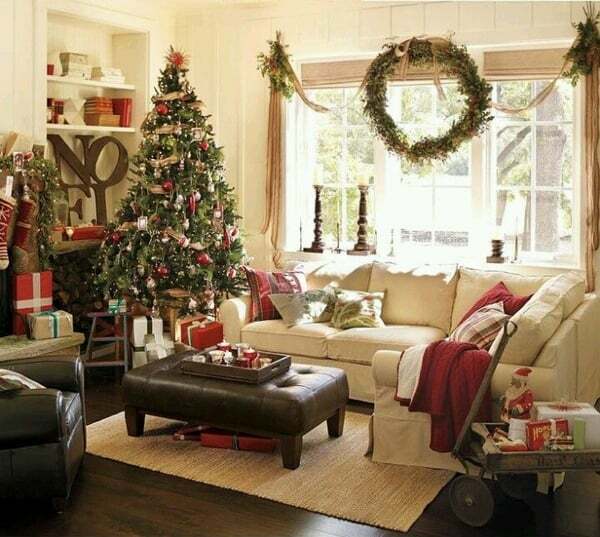 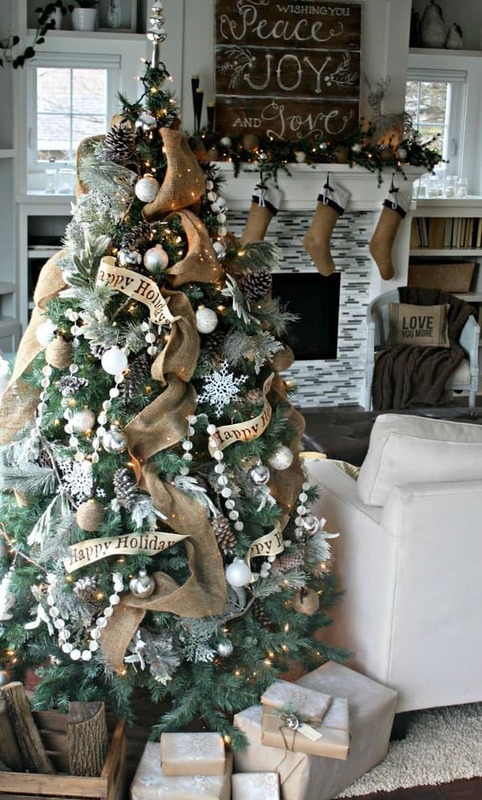 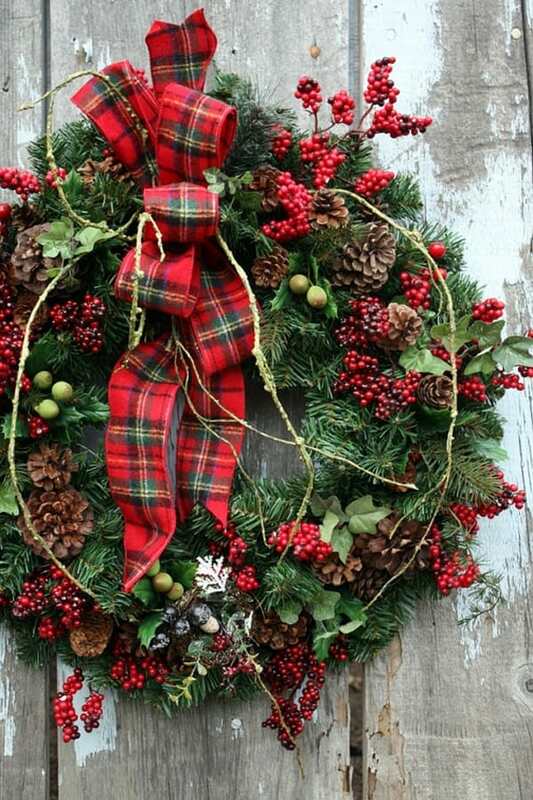 Don’t forget wreaths comprised of fir tree branches, plaid bows, acorns, pine cones, wood slices, or even candy! 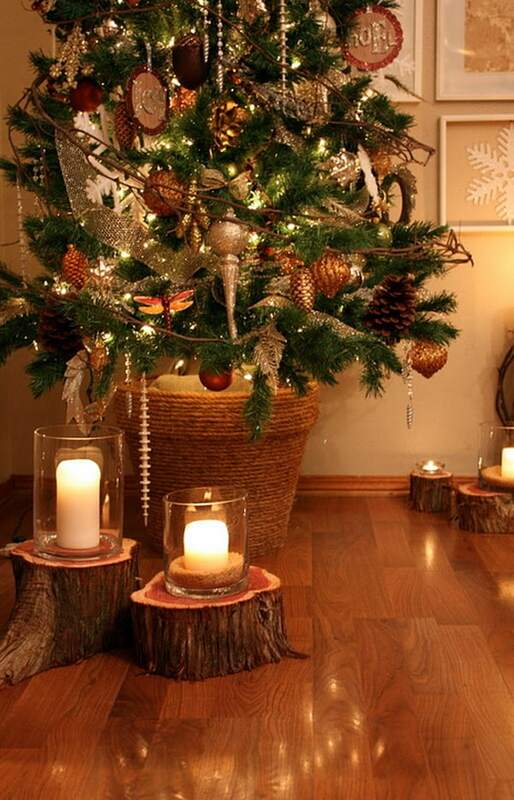 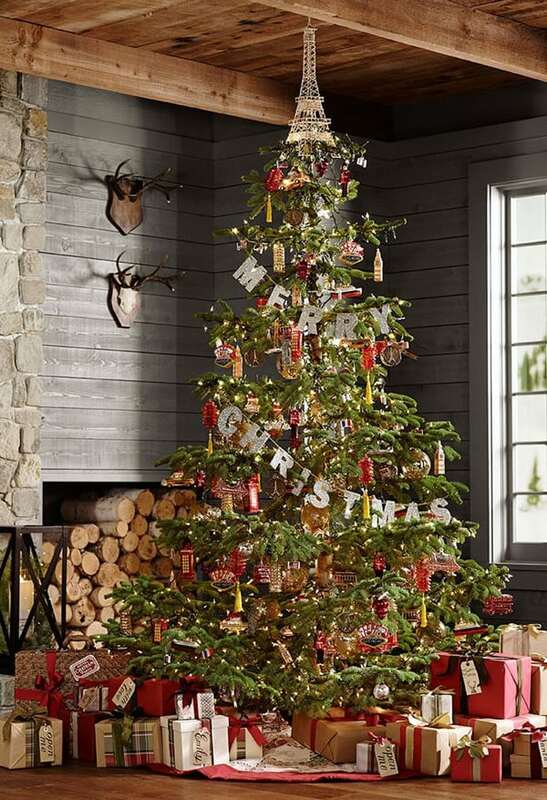 Decorate with wood candle holders, star wooden ornaments, pine cone decorations and your rustic Christmas will be truly unforgettable! 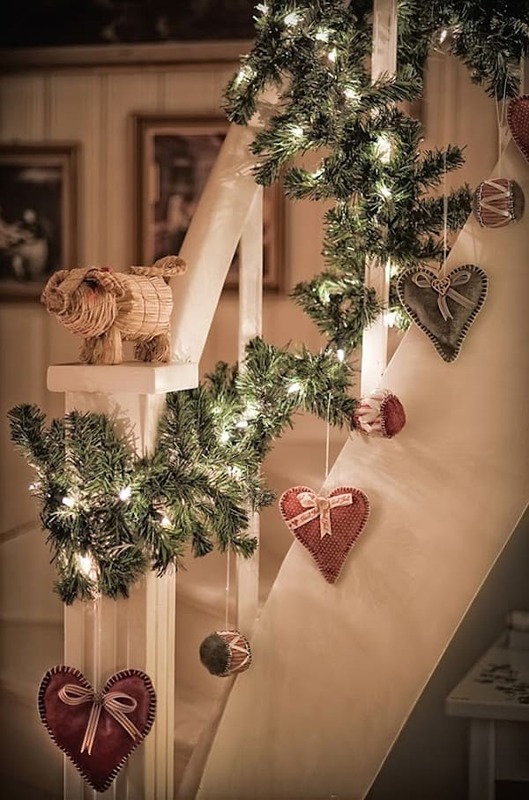 If you are still looking for further Christmas decorating inspiration, have a look at some of our past articles on 66 Inspiring ideas for Christmas lights in the bedroom and 50 Christmas decorating ideas to create a stylish home. 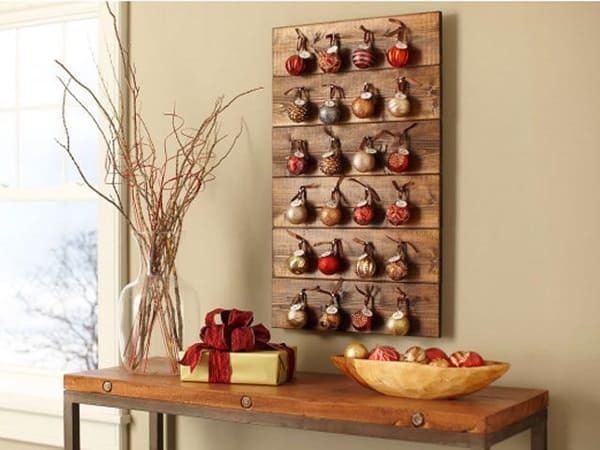 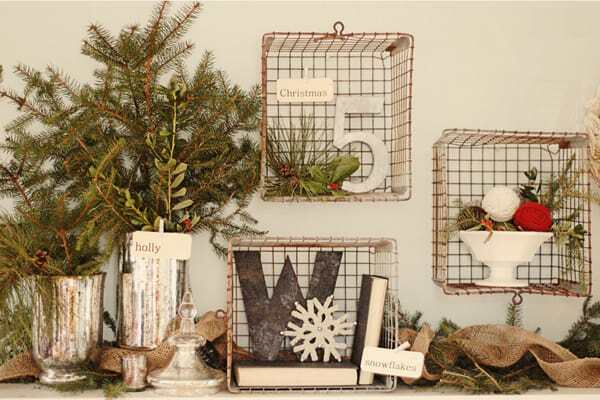 Reclaimed Wood: Use reclaimed wood, nails, and ornaments to make this rustic calendar.